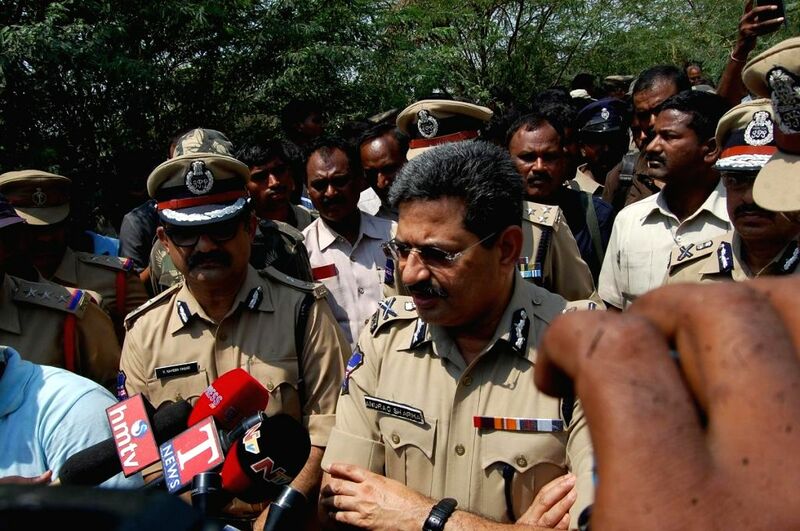 Nalgonda: Telangana DGP Anurag Sharma briefs the media regarding the gunfight in Telangana`s Nalgonda district, Telangana, on April 4, 2015. 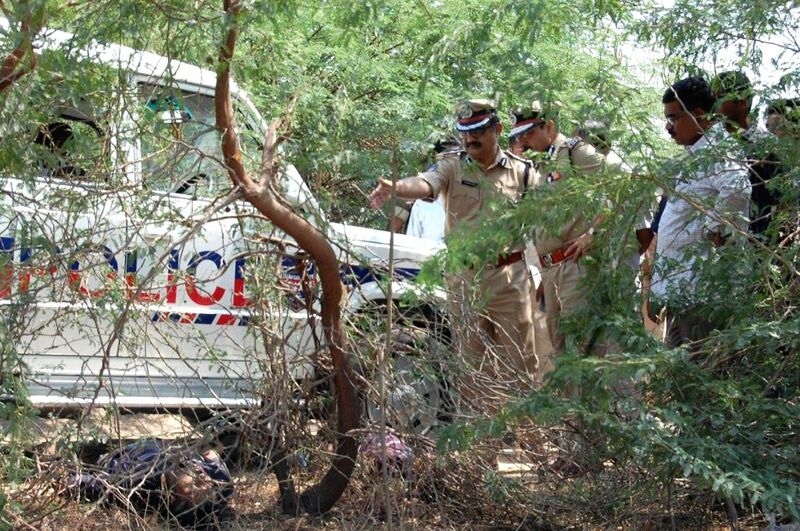 Telangana DGP Anurag Sharma inspects the crime scene where two gangsters were killed in a fierce gunfight in Telangana`s Nalgonda district, Telangana, on April 4, 2015. 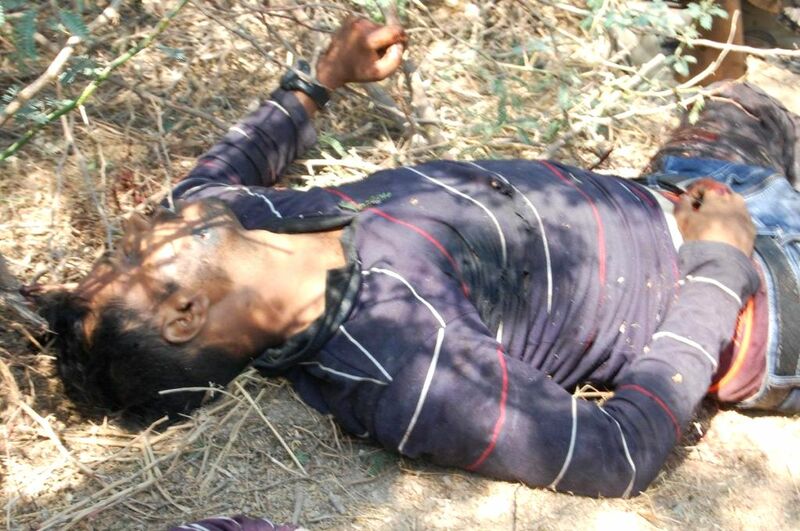 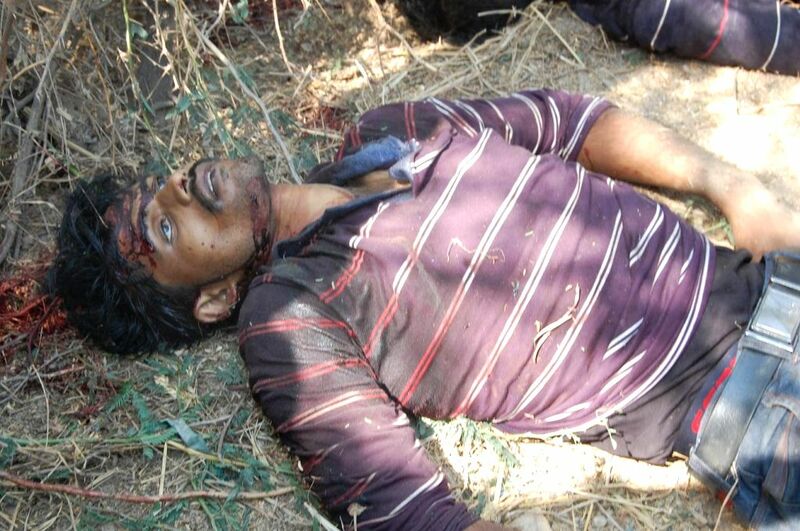 A body of a gangster who was killed in a fierce gunfight in Telangana`s Nalgonda district, Telangana, on April 4, 2015. 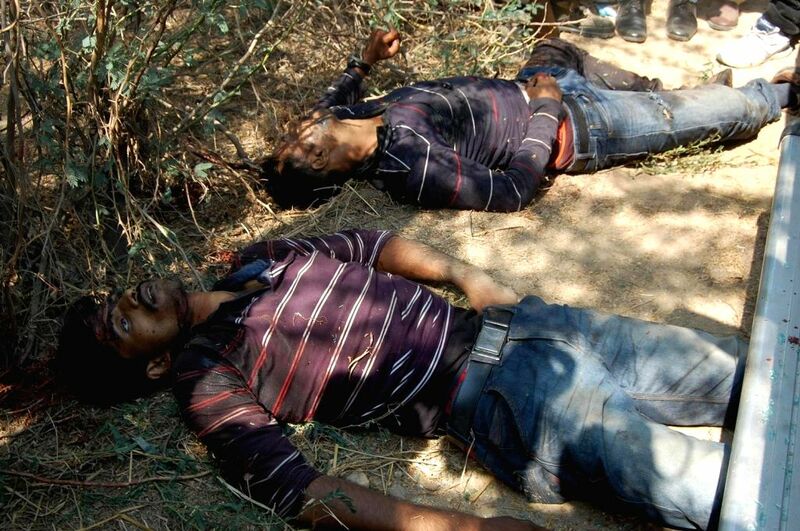 The bodies of the gangsters who was killed in a fierce gunfight in Telangana`s Nalgonda district, Telangana, on April 4, 2015.